Plant Based Pros is an Authorized Retailer of Propur products. 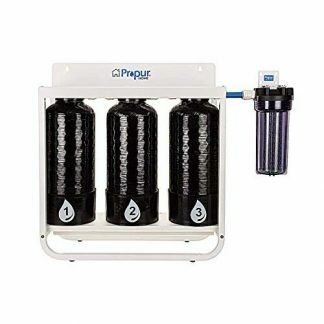 The Propur® King is our largest system and is ideal for high water volume situations. It is economical, convenient and easy to use. Each container is constructed from 304 stainless steel for lasting durability, corrosion and oxidation resistance and attractive appearance. 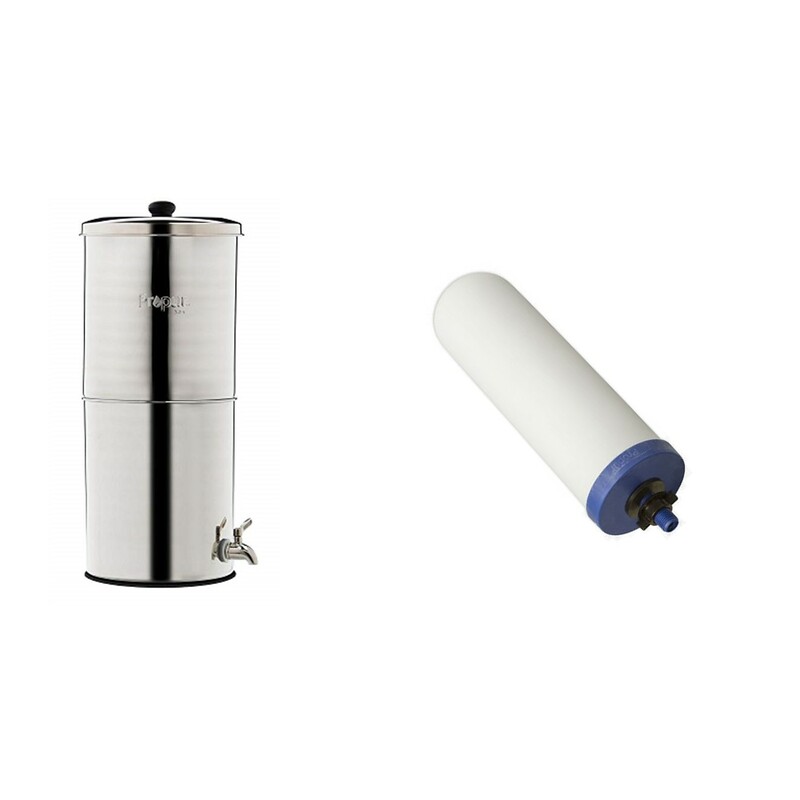 The system requires no electricity to provide reliable water filtration. 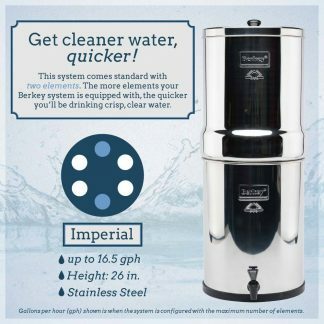 Works with just about any water source including tap, lake, river, stream, pond and rain water. 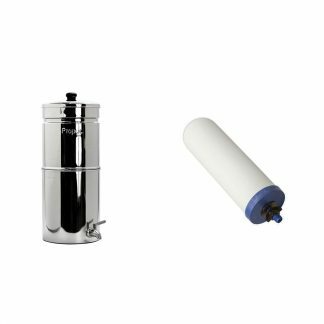 The Propur® King includes two ProOne® G2.0 9” All-In-One contaminants & fluoride filter elements and can be expanded up to four filters for faster flow rate.